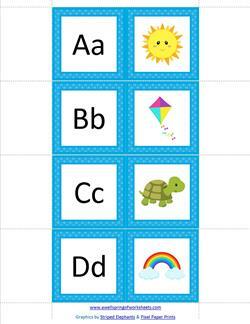 Please go to this page to see even more alphabet games. 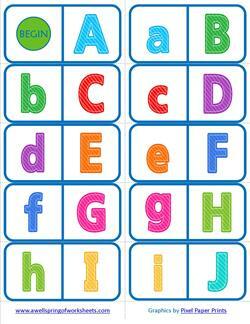 A fun game of alphabet dominoes for beginners. 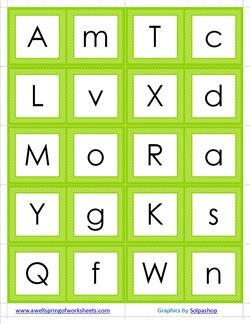 Start at the "begin" domino & match the colorful upper & lowercase letters until you got to the "end" domino.